Android Smartphone have Large number of Apps and games in Android Market. When we download any Application and Install it on mobile it uses some RAM to run the App hence when you are running two or more application in background it uses Large amount of RAM memory and decreases your Phone performance. The Important thing about Android is that it can do Multitasking so that large no of apps can run simultaneously. Their are many inbuilt Apps which runs continuously and uses your Memory. 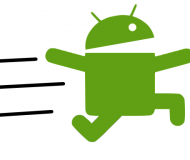 So here are some Methods which will boost your Android Performance. Upgrade to latest firmware So that it will remove all bugs and will install latest new features in your Android Mobile. To upgrade Android it require Manual Upgrade with the help of Windows XP or Windows 7. Since Android Install Application on Phone Memory which is very small in most of Android Smartphone . So if you are not using any App then directly Uninstall it which will save memory .Goto Menu–>Setting–>Applications–>Remove Unused Apps. Otherwise Use App 2 SD which move your app from Phone Memory to Micro SD Memory Card, which helps you to get more free Internal Phone Memory. Android comes with lots of Widgets to design your Desktop Screen but at same time it uses Lots of Resources to Run such as Clock, Weather Widgets, Calender etc. Drag all unwanted Widgets to trash. Install Taskiller application on your Mobile which will kill application which are Running in background and helps in saving Battery and Increase Performance too. Avoid Application to modify Screen which requires hug resources and decreases your Phone Performance.